During the past two decades, there’s been a huge increase in the percentage of hunters and landowners that plant crops for the purpose of attracting deer or providing them with a source of quality forage. Unfortunately, many of these great sportsmen seem to focus primarily on the plant, and not the plant’s purpose. Whether to attract deer or provide them with quality forage, plants fulfill this mission by being nutrient transfer agents. That is to say, plants transfer nutrients primarily from the soil to the deer. The only way this transfer can occur is if the nutrients are in the soil! Sportsmen tend to assume there are nutrients in the soil, especially if the plot is located in an area that produces agricultural crops. This assumption is usually not true. Even in areas with good quality soil like Iowa, successful farmers add nutrients (fertilizer) to the soil annually so the crops can transfer these nutrients from the soil and convert them into forage or grain. Farmers that don’t add the appropriate amount of fertilizer don’t produce a good crop. The same is true with food plot farmers. The ones that don’t insure there are adequate nutrients in the soil don’t produce a crop of deer that express their full genetic potential. 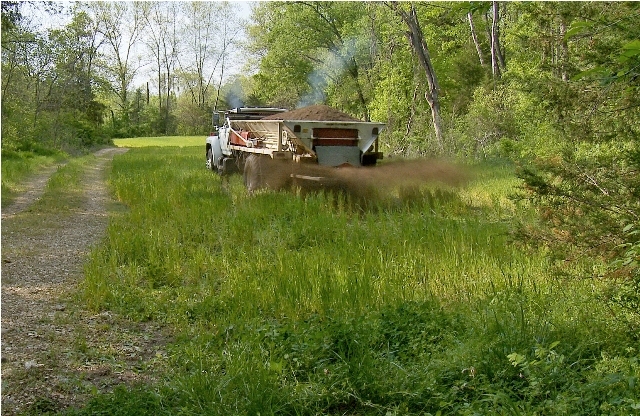 It is food plot planting time throughout much of the whitetails’ range. However, just as important as selecting and planting the appropriate seed for the mission is to ensure the plot has the appropriate type and amount of nutrients available. For crops to be nutrient transfer agents there must be nutrients to transfer.